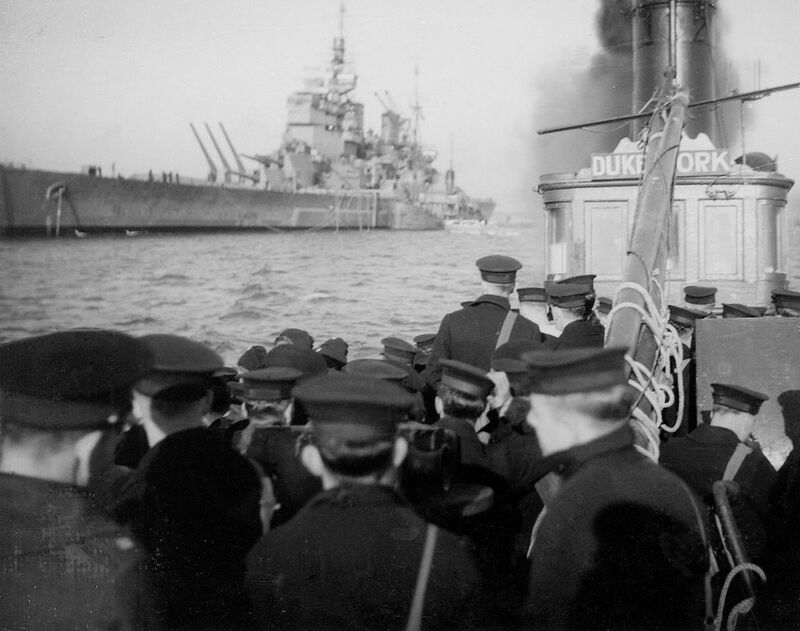 View from within a steam pinnace carrying Libertymen from the battleship HMS Duke of York (launched 1940) at Scapa Flow, circa 1941. This Libertymen Going Ashore from HMS Duke of York Art Print is created using state of the art, industry leading Digital printers. The result - a stunning reproduction at an affordable price.